This is a prefect low cost solder station if you are looking to solder SMD components. This small solder station is perfect for project makers and hobbyist. Ideal for precision small jobs like SMT and micro-electronics. Element shaft is only 2.5mm thick with an isolated element! It can be set to high or low with the use of nob and comes with a sponge tray with a sponge and a placing stand as standard. Comes standard with an aluminium coated long life tip. It has features like variable temperature control, heat proof handles along with heat proof handles and built in Mounting stand. 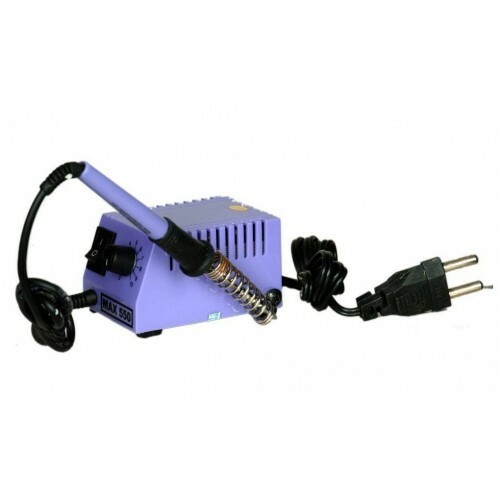 Tip Heating Technology (12 Volt). 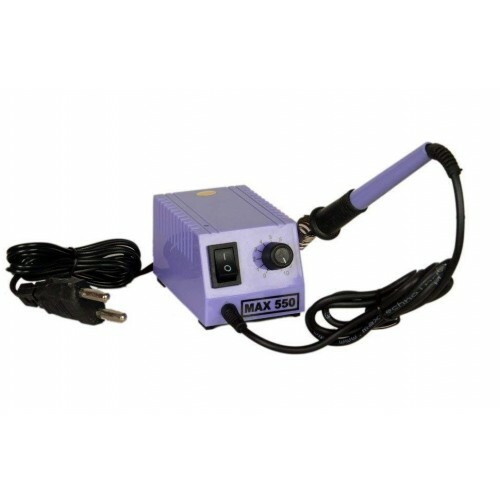 Guaranteed Shock Proof (12 Volt Heater). Sort Handle For Perfect Balancing. KDM Bit Which Is Long Lasting. 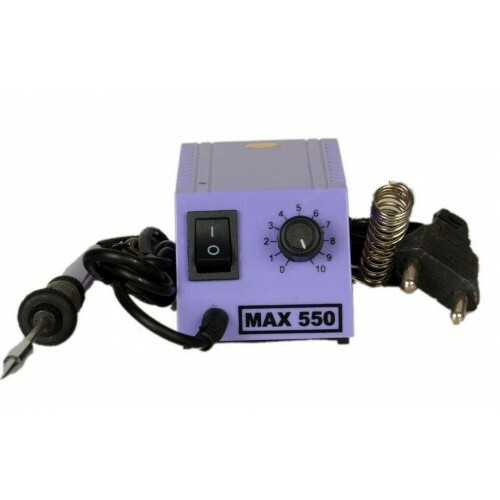 Variable Control For Temperature 65 Degrees - 450 Degrees. 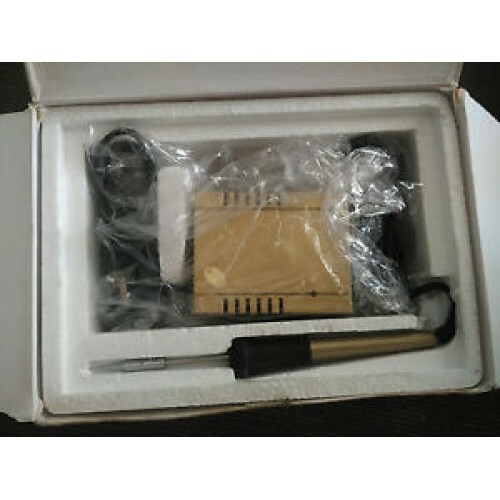 Solder wire 500 gramsIf you want to make any circuit you will require solder wire (unless you are us..
SL-960 Temperature Controlled Digital Soldering StationSL960 Soldering station from Soldron it ..
MAX 250 Soldering StationThis is a prefect low cost solder station if you are looking to solder SMD ..